In a brazen attack on Colombia’s peace accords, Attorney General Néstor Humberto Martínez Neira has brought charges against three former officials of the Special Peace Jurisdiction courts (JEP, by its Spanish initials). July Henriquez, Martha Lucía Zamora, and Ernesto Caicedo have been accused of falsifying documents and using their positions to enable Ivan Marquez and other former insurgents and peace negotiators to go underground. I discussed this development with Henriquez and Gustavo Gallardo, president of the human rights organization, Lazos de Dignidad (Links of Dignity). They characterize the charges as “absurd”. The JEP was created as part of agreements ending more than 52 years of Colombian civil war. It was given the responsibility to deal with questions regarding the general amnesty of armed actors, and to hear cases of war crimes and crimes against humanity, both of which are still prosecutable. Many of us in the United States will recognize the name of July Henriquez. 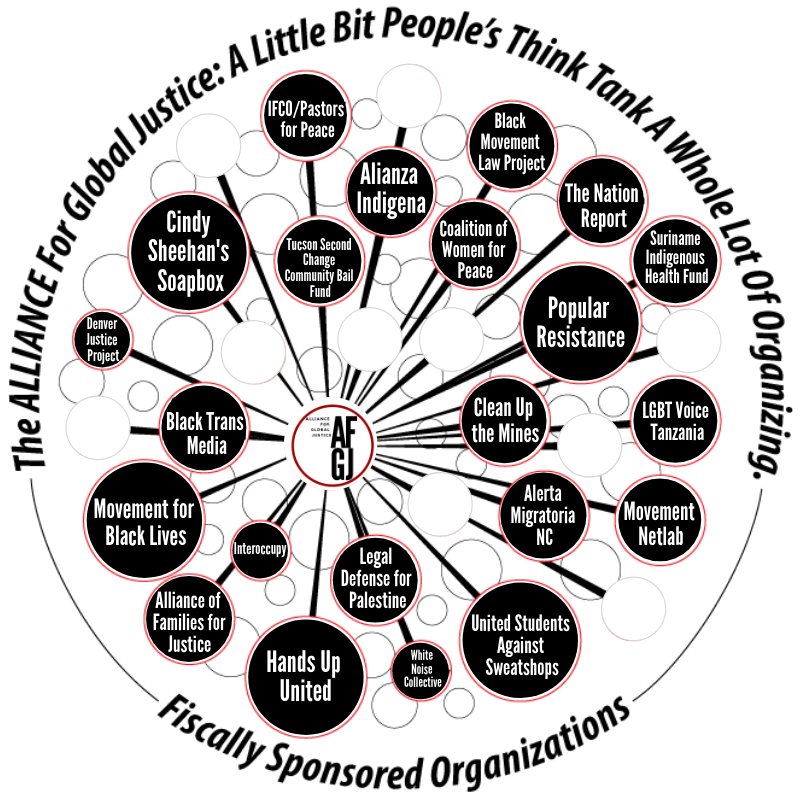 The Alliance for Global Justice (which I work for) brought July and Gustavo to tour the US in November 2014. They are both part of the human rights organization, Lazos de Dignidad, which is also one of the founding organizations in the Marcha Patriótica popular movement. At the time of their tour, they were heading up the Marcha Patriótica’s International Relations division. 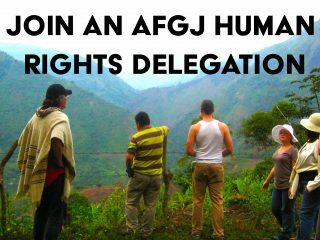 AfGJ has worked with Lazos de Dignidad for ten years. They have hosted or co-hosted all but one of our Colombia delegations. When they say these charges are “absurd”, we very much believe them. As for the disappearance of Marquez and other former insurgents, it could be said that they are literally running for their lives. On October 10, 2018, the United Nations announced that 74 former guerrillas from the Revolutionary Armed Forces of Colombia (FARC) have been murdered since the peace accords were finalized in November 2016. During the 2018 electoral season, the FARC’s new and legal political party, as well as various Center-Left parties, were threatened or outright attacked throughout their campaigns. Several sources show that there have been 400 or more assassinations of human rights defenders in Colombia since the beginning of 2016. Paramilitary and military members responsible for these crimes act with impunity. Additionally, the threat of frame-ups in order to extradite former guerrillas to the United States constitutes a serious breach of the accords. made during negotiations, our associates inform us that the Colombian government under President Juan Manuel Santos had only kept about 20% of its obligations. The new administration of Iván Duque is even worse: it is taking every action possible to nullify the accords. The charges against the JEP are part of these efforts. The JEP has been the primary legal obstacle to the extraditions of former insurgents to the US. It has also rigorously upheld provisions requiring the release of political prisoners and prisoners of war. (There are still over 600 such prisoners in jail.) Because the JEP is upholding the accords as the law of the land, it has earned the scorn of enemies of Colombia’s peace. Unrestrained military and paramilitary political violence along with legal measures to repeal major provisions of the peace agreements are running the risk of plunging Colombia back into a state of permanent war. This is exacerbated by the explosion of activity by armed actors and narco-traffickers who can act without constraint in regions of the country where the FARC was once active. This reveals an uncomfortable truth for many on the right: that in regions abandoned by the state, the FARC was often the guarantor of stability. Attempts to nullify the accords through legislative acts and court processes and decrees is a particularly effective tactic. Central to that strategy is undermining the JEP, which so far has been able to block the extradition of Jesús Santrich to the United States. Santrich was a former insurgent and peace negotiator who was preparing to enter Colombia’s Congress. He has been charged with narco-trafficking in a case replete with false allegations and paid informants, typical of the tactics often employed against political targets. The Colombian prosecutor’s office has even admitted it has no evidence against Santrich. According to the law, Colombia cannot extradite someone without their own authorities having seen evidence of crimes. However, the Duque administration is trying to justify the extradition, saying that the “evidence” is “in New York”. The charges being brought against Henriquez, Caicedo, and Zamora are an obvious retaliation. There is an alliance of big landowners and agribusinesses, narco-traffickers, and transnational corporations who prefer ongoing violence to what is required from the peace accords: modest land reforms, transition away from a narco-economy to one based on rural development, and the right of return of displaced people to their homes and farms. Manageable political violence and conflict means not giving up access to Colombia’s many and rich resources. The policies being enacted by the administration of Ivan Duque in Colombia are very much MADE IN THE USA. More than a year before Duque’s election last June, President Trump met in Mar a Lago with former Colombian presidents Andres Pastrana and Álvaro Uribe. These meetings were not reported to either the Colombian government or to Trump’s own staff. Pastrana and Uribe are known for their opposition to the peace process. President Duque is a disciple of Uribe, whom he once called Colombia’s “eternal president”. Since those meetings, the Trump administration has repeatedly pressured the Colombian government to scrap rural development and voluntary eradication in favor of violent, forced eradication and fumigation of illicit crops with Monsanto’s RoundUp Ultra. The Trump administration also asked the Colombian government to arrest Jesús Santrich and extradite him to New York to face trial there. We can ascertain the US government’s interest in the charges against Henriquez, Caicedo, and Zamora based on their revocation of their visas. We must conclude that US policies are directly behind the Duque/Uribe efforts to undo Colombia’s peace. This fits in neatly not only with the US advocacy for the privatized plunder of Colombia’s resources, but also with its regional and hemispheric designs for dominance. The assaults on the accords can be analyzed in terms of developments regarding Venezuela. Admiral Kurt Tidd and other officials from the Pentagon’s Southern Command have made several recent visits to Colombia. They have each time visited the largest concentrations of Colombian troops, in the southwestern coca growing areas in Nariño, Cauca, and Valle de Cauca; and along the border with Venezuela. While he was president, Uribe had wanted to invade Venezuela and had sought the backing of the George W. Bush administration. He didn’t get it. The situation has changed now. Uribe is now a senator as well as Duque’s mentor. He continues to advocate an invasion, and the Duque administration has openly suggested the time has come for a “humanitarian” intervention. This time, we know that no brakes will come from the White House. It is widely reported that Donald Trump pressed his own aides about invading Venezuela in meetings in August 2017. Over the last year he has held secret meetings with Venezuelan dissidents to discuss coup plans. We hope that the observations of Dieterich are mistaken. But we know this: that the disarmament of the FARC and the success of the peace accords are dependent on Colombia having a functional democracy that is capable of absorbing those who have laid down their arms into the political opposition. That is exactly what the FARC negotiators were counting on: that democracy would flourish, and human rights would be honored, thus opening up new pathways toward the transformation of Colombia. With regards to Venezuela, a political opposition that can operate openly without fear is the only way popular forces can peacefully and effectively oppose a military intervention launched from Colombian soil. The attacks on the JEP and the murders and extraditions of former insurgents, following their disarming, serves no function other than to force FARC leaders to either disappear, take up arms again, go to jail, or be shot down in a failed quest for peace. And should they take up arms again, it would be in a much-weakened state, surrounded by new and emboldened armed actors who have proliferated in the FARC’s absence. It would be within the realm of permanent but manageable war. The result? The US-Colombia partnership takes whatever resources they want from whomever, wherever and whenever they want. The US-Colombia war machine establishes itself as a permanent threat both internally and regionally. This is what is at stake with the failure of the peace process. When the JEP is undermined, we must defend it. When human rights defenders are jailed or murdered, we must denounce it. When war threatens, we must take our stands, big and small, for the peace of Colombia and the peace of the world. ← NicaNotes: Why Didn’t Carl David Goette-Luciak Say Something About The Torture He Witnessed?